Set in northern Tanzania, sharing part of the Serengeti plains to the north-west and with the towns of Arusha and Moshi, and Mount Kilimanjaro, to the east, is Ngorongoro Crater. It forms part of the unique Serengeti ecosystem. 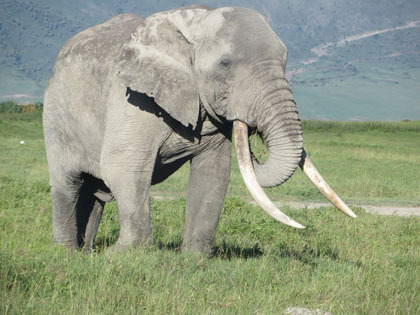 The Ngorongoro Conservation Area is huge area with a total of 8,288 sq kms. The areaincludes some other small craters known as Empakai, Olmoti, together with mountains, the archeological sites of Olduvai Gorge, rolling plains, forests, lakes, dunes and of course Ngorongoro Crater. The highest peak of the area stands at 3,600 mts above the sea level known as mount Lolmalasin. Active volcanoes of mt. Oldonyo Lengai is located on the North East side of the Area, Ngorongoro Crater, the first view of it is absolute splendor. The most striking feature, the Eden of Africa, one of the wonders of the world!. The Crater has an area of about 260sq Km, that is 19 km across. It stands 2,286mt. above the sea level, the floor lies about 610mt. below the rim. Ngorongoro crater has graduated a bowl known as “Caldera”, which is formed when the molten core of the volcano subsides into the earth and the steep crater sides fall inward. The crater has a spectacular concentration of wildlife. Within the crater there is shallow soda lake (Magadi) and flamingos who dwell around the lake which remains dry sometimes. The best place to see rhinos throughout the year, the bird life is also rich and the hunting ground for lions, cheetahs and hyenas.